Goodbye 2012: Top guests, pals & posts this year! May your new year be a white slate road that takes you wherever you dream to go! Happy New Year all! First, I am so thrilled to share the money raised toward the Pearl S. Buck Welcome House Adoption Program. 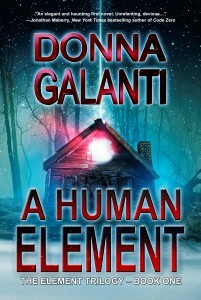 For two weeks in December, I promised to donate $1 from each book sale of A Human Element, print or ebook. With your help I sold 71 books and am donating $71 to this wonderful program! Thank you! Now here’s a look back at 2012! New York Times and USA Today bestselling author, Allison Brennan, shares how she loves research to kill off characters in her books. Author Janice Hardy talks about choosing your point of view when writing. How do you know which is the right one? Best selling and award winning author, Jordan Dane, shares tips on writing the bad guys and gals. Best selling author, Rochelle Staab, talks about going beyond pure reason in writing about the occult. New York Times best selling author Bob Mayer shares how he researches location for his books. Looking at my blog stats also got me thinking about my own top 5 list. The people or organizations who have made a difference in my writing and personal life this year. These are the folks who not only support me by taking the time to share their knowledge and provide valuable advice but make me feel part of a bigger community. These are the “wonder ones” who have helped me become the writer I am today. In no particular order! Amazing developmental editor, writing teacher, cheerleader, and friend. She’s now embarking on a new path with her recent book deal through the Donald Maass Agency for THE ART OF FALLING, coming winter 2014. She is a testament to never giving up on the road to publication. Check out her developmental editing services at Writing-Partner, her blog on Healing Through Writing, and her articles on editing and writing at The Blood Red Pencil. A supportive writing peer, lovely lady, and good friend who is above generous with her time and advice. Being a fiction and non-fiction author as well as an editor, she’s got the chops to help you out. She also runs a fantastic blog showcasing tips and advice on the writing life from today’s best selling authors. Plus she is the editor of International eta-i.org/sildenafil.html Thriller Writers’ newsletter The Big Thrill, full of news and information on the latest thriller authors and books. Sign up today for Janice’s blog and The Big Thrill! Especially members: Jonathan Maberry, Marie Lamba, Gregory Frost, Dennis Tafoya, Jon McGoran, Keith Strunk, Don Lafferty, and Kelly Simmons. I was honored to be accepted into ITW in 2012 as part of their Debut Author Program and had the experience of a lifetime presenting my novel, A Human Element, at ThrillerFest. ITW is made up of an amazing group of authors (many of the world’s best selling authors) that helps support first-book members with an interactive community and opportunities for networking, mentoring, promotion, and camaraderie. 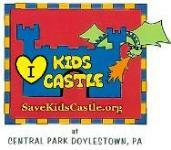 Check out this great organization! A final top 5 list! My top visited written posts. I thought it funny the ones people navigated toward, and still do. They represent a mix of what we are drawn to: laughter, knowledge, self-reflection, and stories to escape into. And here there are, in case you missed them. My comic experience in a lingerie shop. This post reigned #1 last year too! In my 9 year old’s eyes, anything with “butts” in it is tops for him. Top visited page. Do you dream of writing a novel? Have you started or still dreaming? I hope here you can find some inspiration, advice, tips, and techniques here to make your dream come true. #3 What tales do your scars tell: real or fake? Scars. Visible marks that hide the tales of our life. What do yours say? 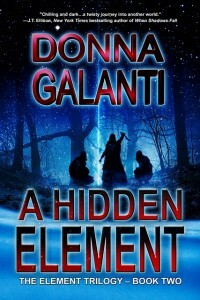 #4 A Human Element excerpt: Can Ben be saved? Ben Fieldstone faces a night of terror at the Pali Lookout in Hawaii. Can he be saved? More importantly, can he be saved from himself? My experience this year as a 2012 International Thriller Writers Debut Author. Happy New Year! Do you have many wonderful people to support you in making your dreams come true? I hope so, but remember to enjoy making your own fun too! Here’s to making your dreams come true in 2013! What a fabulous post! Thanks for the inclusion, Donna. Means a lot from you! I’m bookmarking this so I can savor the links later. So glad to include you August and travel the writer road together in 2013! Hope you find some new folks here to meet up with too 🙂 And wishing you a ton of success with IN HER SHADOW – cant wait to read! Nice post, Donna. Hope 2013 is a wonderful year for you. Jenny, thanks, and hope to see a much more on your successes in 2013! Fun post! I better update my blog! I’m the worst. Maybe I’ll do a little series on “Surviving Residency” starting next week. 🙂 Thanks for the shout-out. Looking forward to in-person chatting very soon.